Mysterious and tense orchestral tune with intense and commemorative phrases by Choir over staccato strings. Adventure and action in a broad and cinematic orchestral tune over a fast and pressing rhythm. Sacred and mystical Choir at the beginning. Pressing and tense orchestral tune. Choir, strings, brass and insistent percussion in an adventurous and epic atmosphere. 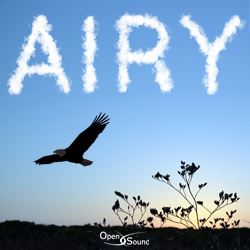 Epic and adventurous orchestral tune with phrases by Choir in a Soundtrack style over a flowing rhythm with broad chords by strings. Cinematic and commemorative atmosphere. 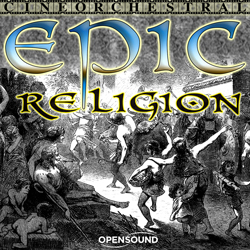 Epic and commemorative orchestral tune with a fast and intense rhythm, suitable for adventure, history, religion and war. Broad, cinematic and commemorative orchestral tune. Epic phrases by Choir and orchestra over intense percussion. Majestic, adventurous. Epic and commemorative tune with a World flavour in a Soundtrack style. Broad and cinematic atmosphere. 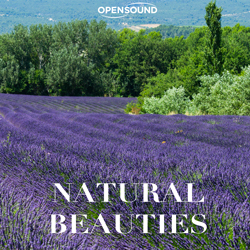 Delicate tune, suitable for Nature, feelings and leisure in a peaceful and dreamy atmosphere. Dreamy, elegant and fascinating tune with a nostalgic atmosphere in a Chillout style. Dreamy and contemplative tune in a New Age style with a relaxed and peaceful atmosphere. Contemplative and ethereal tune with an evocative guitar theme over sparse pads in a New Age style. Relaxing, peaceful. An elegant and sophisticated guitar theme with a sentimental and tender atmosphere. Delicate and aerial tune in a New Age style with a contemplative and ethereal atmosphere. Panoramic and peaceful tune with a delicate guitar theme over airy strings in a relaxed and dreamy atmosphere. Ethereal, aquatic. An evocative guitar over sparse pads with a peaceful and contemplative atmosphere. Contemplative and peaceful tune with an evocative guitar theme over sparse and ethereal pads in a New Age style. 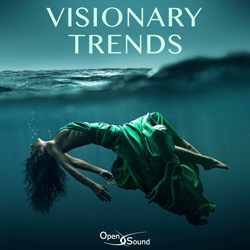 Dreamy and panoramic tune in a New Age style with a relaxing, peaceful and ethereal atmosphere. An evocative electric guitar over aerial pads and strings in a contemplative and dreamy New Age atmosphere.